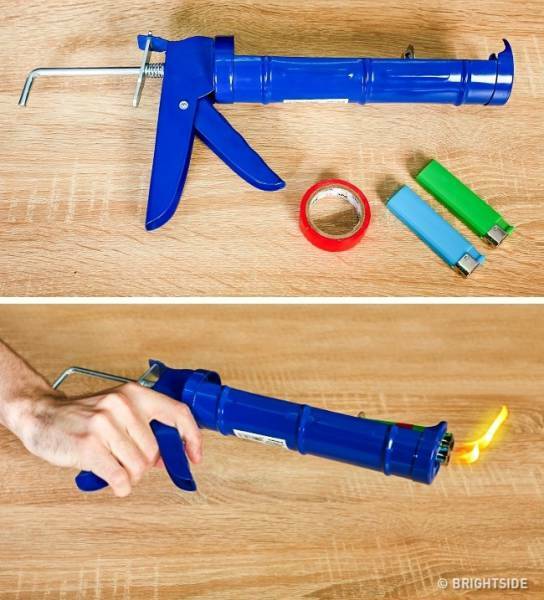 How to make it: Take 2-3 cigarette lighters, and attach them together with sticky tape. Attach them to an ordinary nail gun, and press on the trigger. The flame can be regulated depending on how hard you press the trigger. This is very useful for lighting campfires if it’s wet outside.